There has been an explosion of interest and commentary these past few days as a result of a front page story in Monday’s edition of the influential Financial Times (of London). The story stated that the CFTC was set to drop its four year investigation into alleged silver price manipulation due to insufficient evidence to bring charges, according to three unnamed sources. I went to sleep Sunday evening when the story first appeared prepared to wake up to similar and confirming stories in other publications. Instead, there were no other stories confirming the case was set to be dropped; only strong statements that the FT was story was “premature” and “inaccurate in many respects” by a named source, Commissioner Bart Chilton of the agency. The CFTC’s silver investigation is a hot button issue and the FT story, as well as Commissioner Chilton’s response to it, set off an outpouring of emotion and conjecture in the precious metals world. And for good reason, as this is an extremely important issue. There can be no greater concern than whether a market is manipulated in price. The issue of a silver manipulation is also a divisive matter, even within the CFTC itself; otherwise there likely wouldn’t have been leaks that the investigation was over and the immediate response of not so fast. As is usually the case with extremely divisive issues (like politics and elections), emotions take hold and the real issues can get distorted. Let me try to frame the picture in an unemotional manner. Admittedly, that’s no easy task since I was the prime initiator behind this silver investigation and the two prior CFTC silver investigations in 2004 and 2008. (Too bad there’s no Olympic event for initiating government investigations). However, the truth is that four years ago I was not trying to get the Commission to investigate, as they had just completed a few months earlier, in May 2008, their second silver investigation in four years. By then, I knew where the Commission stood on whether silver was manipulated and it was pointless to ask them to investigate again. I had a different motive in mind when I urged readers to write to the CFTC about the now-infamous Bank Participation Report of August 2008. That was the report that showed that one or two US banks held an obscenely large and concentrated short position in COMEX silver futures that amounted to 20% of world production and 30% of the entire COMEX silver market. No major market had ever been that concentrated. I knew that this short position was so concentrated that, in and of itself, it proved silver was manipulated because the price would be radically higher in its absence. That is always the litmus test for manipulation, namely, what would the price most likely be if a concentrated position did not exist? As a result of the August 2008 Bank Participation Report and subsequent CFTC correspondence to US lawmakers, I also learned at that time that JPMorgan was the big silver short, as I speculated on in this article. http://www.investmentrarities.com/ted_butler_comentary/09-02-08.html This is when and where the precious metals world came to learn that the big silver short was JPMorgan. I asked readers to write to the CFTC not to investigate silver anew, but for the agency to simply explain how a big bank holding such a large percentage of the market would not be manipulation. This is a question that the Commission should have answered immediately since it was so basic to commodity law. The last thing I intended was for the agency to embark on a multi-year phony investigation as a delaying tactic for not being able to answer a basic regulatory question. Because the Commission could not explain the legitimacy of JPMorgan’s concentrated short position, they continued to drag out resolution by pretending to investigate. But four years is an extraordinarily long time for any government investigation, phony or otherwise, and it appears that the CFTC has to confront the issue soon; hence the FT article. While the FT article was disappointing (at least it mentioned my name in a non-derogatory manner) and Chilton’s response was encouraging, the reality is that it is unlikely that the investigation will be resolved much differently than the version leaked to the paper. For one thing, nobody likes admitting they had royally screwed up and if the Commission were to bring manipulation charges now in silver, it would be admitting that it missed the wrongdoing for the previous two decades, despite continuous and documented warnings from 1986. How likely is that? More importantly, were the agency to charge JPMorgan with manipulation of the silver price (as it should) that could set off a series of events that could easily grow out of control. One thing that makes the silver manipulation so potentially profound is that the core allegation is of a crime in progress. The CFTC has never busted up a manipulation that was in force; like most government agencies, it only reacts after the fact. Don’t take that solely as a complaint, but more as an observation that governments are more reactive than proactive. Because the silver manipulation is very much in force, were it to be terminated by CFTC actions against JPMorgan and/or others, it would be a “live” event for the first time. History shows that all manipulations end violently. In the case of silver, since it has been depressed in price by a downward manipulation, its termination would necessarily cause prices to explode higher. Any charge brought by the CFTC would send a clear signal to the world that silver had been depressed in price and was undervalued and, therefore, should be purchased. This would cause a flood of buying and discourage new selling, causing the price to truly explode, most likely in disorderly market conditions. Do you find it likely that the CFTC would wish to cause that disorderly pricing that could lead to further unsettled conditions in other markets? If JPMorgan (and perhaps the CME Group) were found to be the main culprits in the silver manipulation and the CFTC brought charges against them, the repercussions to JPM and the CME could be a threat to them as going concerns. It was never a case that JPMorgan couldn’t financially afford to buy back its concentrated silver short position; it was always a case that should JPM ever move to buy back aggressively to the upside that would prove conclusively that it had been manipulating the price of silver all along. That would set JPMorgan (and the CME) up for a legal holocaust, both civil and criminal. There has been talk of a civil litigation nightmare for those banks deemed guilty in the developing Libor manipulation; but determining damages will be difficult because the Libor rates were allegedly manipulated both up and down, making the damages unclear and hard to prove. Were there to be findings of a downward manipulation in silver, those damaged, from investors to producing companies and countries could easily demonstrate the damage. Back in the Hunt Bros silver manipulation of 1980, one of the successful litigants was Minpeco, the government producer organization from Peru, who I remember collected more than $100 million. That would be chicken feed compared to the consequences of the much longer downward silver manipulation of today by JPMorgan. And this says nothing of potential criminal liability. JPMorgan is perhaps the most important and influential US bank and for the CFTC to move against them in a matter as important as basic market manipulation could lead to unintended consequences that could threaten the world’s financial system. Do you think the CFTC would dare challenge the supremacy of JPMorgan considering that potential financial fall-out? Besides, as I have written previously, JPMorgan is too big to sue, at least matched up against the CFTC. The matter of the bank manipulating any market is something that JPMorgan would defend against to the death, as for it to be found guilty could possibly end the bank in its current form. JPMorgan would certainly spend $5 billion (only one quarter’s net profits) to fight any charges in connection with a silver manipulation and, at a minimum, delay a legal resolution for decades. On the other hand, the CFTC is struggling to fund the whole agency on $200 to $300 million annually. This is most likely the reason behind the leak to the FT about the silver investigation being dropped, namely, the CFTC is no match for JPMorgan and the agency knows it. This has nothing to do with law, or justice, or doing what is right; it is simply a case that the crooks at JPMorgan (and the CME) can bully anyone they chose, including the US Government. The most plausible alternative explanation, of course, is that the Treasury Dept ordered the CFTC to keep its hands off JPMorgan. Either way, it stinks. The truth is that the silver investigation was a ruse from the start in that the CFTC could never have moved against JPMorgan or the CME in any circumstance. The proof of that is evident in the many other specific instances of price manipulation in silver that have occurred after the soon to be dropped investigation began. The most obvious instances were the two separate 30% and 35% price smashes in a matter of days that occurred in silver in 2011. There never were such blatant price declines in such a short time in any world commodity in history, to say nothing about there being no obvious supply/demand changes to account for the declines. In other words, the CFTC started their third silver investigation four years ago as a way of avoiding having to explain how JPMorgan could be allowed to hold a clearly manipulative concentrated short position and then ignored the two greatest manipulative price events in commodity market history while the phony silver investigation was under way. Think of how devious and dishonest the CFTC has been; it announces a formal silver investigation to avoid having to answer bedrock regulatory questions, then ignores the two most manipulative prices events in history claiming it can’t comment on them because there is an active investigation under way. 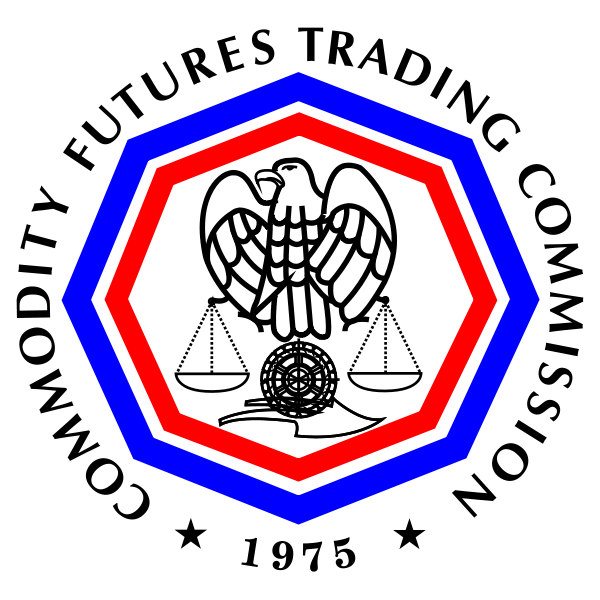 If government officials could ever be horse-whipped for malfeasance and for failing to protect the public interest, surely the CFTC’s performance in silver would permit it. I realize that what I have written to this point paints a picture that is not optimistic for the resolution of the silver investigation that most would favor. I am sorry about that, but I try to be an analyst and not an entertainer. That said I’d like to spend some time explaining why the outcome of a dropped case may not matter much and that the net result is good for silver. More than anything, this FT leak was likely a trial balloon for the CFTC to gauge public reaction to it dropping the case. If so, the reaction couldn’t be clearer; even I was taken aback by the near universal condemnation of the agency for proposing to drop the case. I think what got to people the most was the suggestion that the agency would walk away without bothering to explain the concentration and the two historic price drops of 2011, to say nothing of the almost daily beatings in silver as a result of crooked High Frequency Trading. If anything, the FT article may have given legs to the silver manipulation allegations. While it was a mainstream media publication that leaked the story, the silver manipulation is surely not a mainstream media issue. The silver story is an Internet and private publication issue that grew despite being ignored in the mainstream media. As such, any declaration that the matter is now closed will not close it anywhere outside the MSM, where it was never accepted to begin with. It’s not just that the silver manipulation was never accepted by the MSM, it was more a case of it never being allowed to be openly discussed. But legitimate questions of undue market concentration and historic and unjustified silver price movements are matters worthy of transparent examination that MSM censorship has been unable to stifle. Not only is the matter not going away, the leak to drop the case may bring greater attention to it. Such attention could prove to be the death knell for the silver manipulation, as the last thing the silver manipulators want or need is a fully transparent examination of the facts. One of my longest held beliefs has been that as time rolls on more would become aware of the real silver story and once they did, more investment demand in silver would result. That has occurred and any new attention brought to silver as a result of a dropped investigation will likely accelerate the process. The truly amazing thing is in how slowly the real silver story has spread in the ranks of super big investors. Aside from Eric Sprott, very large investors have overlooked the silver story completely. I am as certain as I can be that these very large investors just haven’t taken the time to look objectively at silver. I think it’s a case of silver being such a universally known item that most people assume they already know all the facts because they know what silver is. This includes very large investors who, in addition, may actually be turned off that so many smaller investors have invested in silver. It’s a common human failing to dismiss something because others thought to be less knowledgeable got there first. In the long run, however, very large investors are more concerned with superior returns, so the key is getting them to look at silver objectively. The dropping of the silver manipulation may be that key. Perhaps the most amazing thing of all, at least to me, is the glaring fact that even after four years of non-stop public allegations about involvement in the silver manipulation, JPMorgan still remains the big short. It is hard for me to comprehend how such a large and powerful financial organization (as well as the CME) could silently tolerate the obvious reputational damage which is accruing. While JPMorgan’s short COMEX silver position is in the lower range of what it has been since the Bear Stearns takeover of March 2008, it remains shockingly large and concentrated. After last week’s big increase of 3000 contracts, JPM’s short position, at 18,000 contracts (90 million oz), is still more than three and a half times the proposed position limit in silver. The most plausible explanation for why JPMorgan has not rid itself completely of this manipulative short position is because it can’t do so easily. This is particularly true if JPMorgan tried to buy back its silver short position on rising prices. It would be a shock to the silver market system if the biggest short seller of last resort suddenly turned buyer. In essence, this is the root problem with concentrated positions in general – they cannot be unwound without market upheaval. For JPMorgan to turn to the silver buy side would beg the question – who would sell to them and at what price? The problem with the sharply higher silver prices that JPMorgan would cause if it turned silver buyer is that it would confirm that the bank was, in fact, manipulating the price of silver all along. To my mind, this means JPMorgan is trapped. They can’t run and they can’t hide. This is precisely the conclusion that any large investor would reach if that investor took the time to study silver closely. I can’t see how that won’t happen in time and a more bullish set up is hard to imagine. Of course, I would be the happiest guy in the world to be proven wrong about what the CFTC will do with the ongoing silver investigation. But the potential of the likely greater exposure of the real issues in silver that a dropped investigation would bring is plenty good. With silver, it’s always been about getting people to learn the real facts.